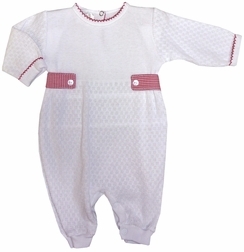 Sweet white knit long romper by Paty Inc. for baby boys, just perfect for Christmas. 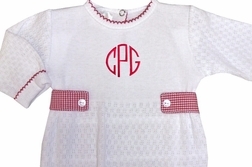 The neck and sleeves are trimmed in red tatting and the sides are made with red gingham button tabs. 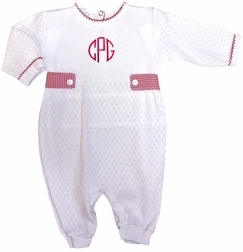 Add a beautiful red monogram for flare.